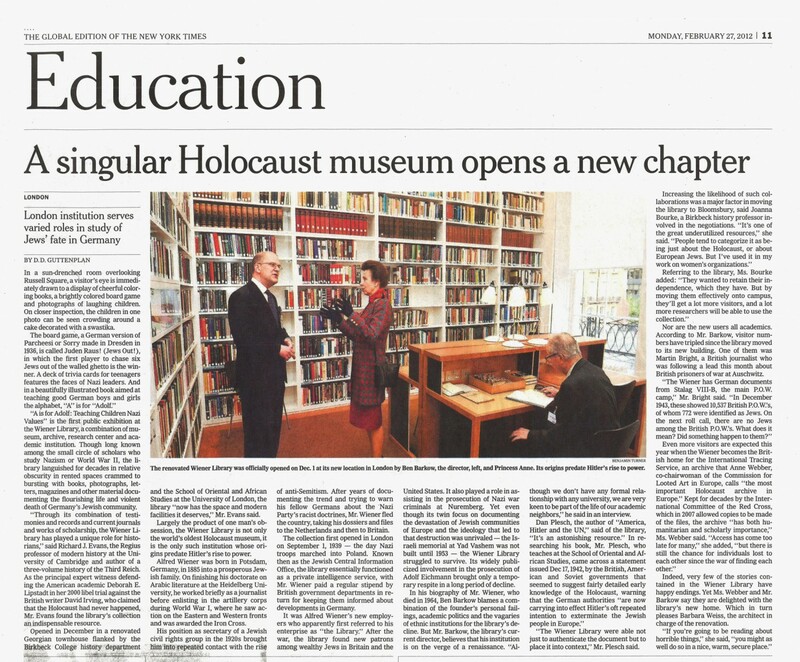 The International Herald Tribune (the global New York Times) has published an article on the Wiener Library; in its Education Section. Written by acclaimed political journalist and author, D.D. Guttenplan, the article features the new building by BWA while focussing on the collection’s educational and historical importance.